Cancun & Riviera Maya are two of the most popular tourist destinations in Mexico. Vacationers flock here for pristine white beaches, top-notch resorts, and crystal blue water. There is so much to do in this destination, including the Mayan Ruins, great diving spots with colorful coral reefs and diverse sea life, and hundreds of cenotes (deep natural wells) to explore. Check out some of our favorite all-inclusive resorts in the area below. You don’t have to spend a fortune to relax on a luxurious beach at an all-inclusive resort in Cancun or the Riviera Maya. The Royal in Playa del Carmen is one great option. This is the first adults-only, all-inclusive I ever stayed at, and it is still one of my favorites to this day. You cannot beat the amazing location near nightlife and daytime activities. 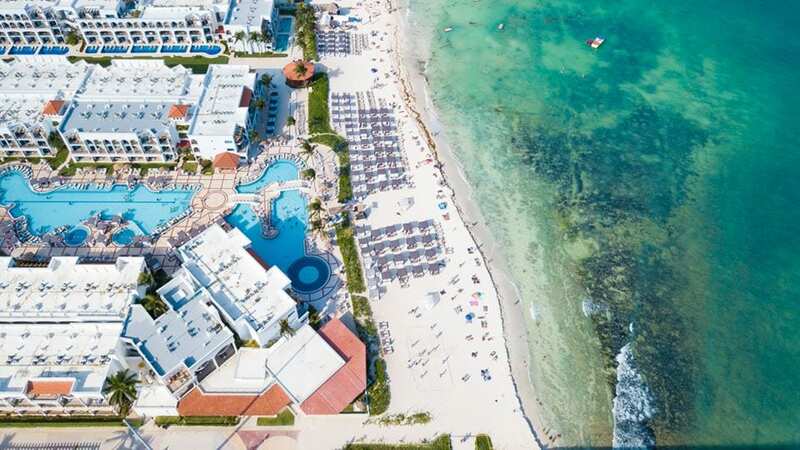 Another Cancun resort that won’t break the bank is Fiesta Americana Condesa Cancun. Here you will find a full-service spa, upscale restaurants, a kid’s club, and a bi-level sundeck with three Jacuzzis and a massive pool. Dreams Riviera Cancun Resort & Spa is another great option. We suggest booking one of the ground floor rooms with private terraces and your very own plunge pool. Here you can enjoy nine gourmet restaurants, six bars, a Kids club, and the worldclass Dreams Spa by Pevonia. Another favorite resort of mine is Royalton Riviera Cancun Resort & Spa. This property is a bit off the beaten path, which is perfect for couples or families looking to get away. For those looking for an adults-only experience, book the Hideaway section. Excellence Riviera Cancun is another great option. I have toured this property many times and I am always struck by the distinct luxurious feel and attention to detail! Not to mention, the food is some of the best I’ve experienced at an all-inclusive resort. 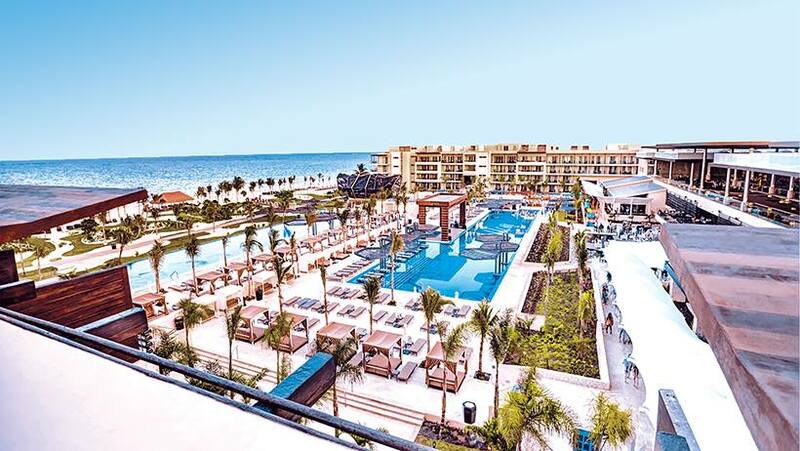 Lastly, one of our favorite new resorts from the Hard Rock brand is UNICO 20°87° Riviera Maya. This adults-only all-inclusive property has a unique cultural feel. Each space evokes Mexico’s past and present and you will find artisanal touches in every corner. Our family recently stayed at The Grand at Moon Palace Cancun. This was a great property for a large group! It is actually an extension of the Moon Palace resort. Here you’ll find something for everyone, from a lively waterpark to secluded pools. El Dorado Casitas Royale is a property that truly never disappoints! In fact, it was voted one of Conde Nast Traveler’s Top 100 Hotels! Here you can enjoy all of the amenities and restaurants of neighbor hotels El Dorado Royale and Generations Riviera Maya. 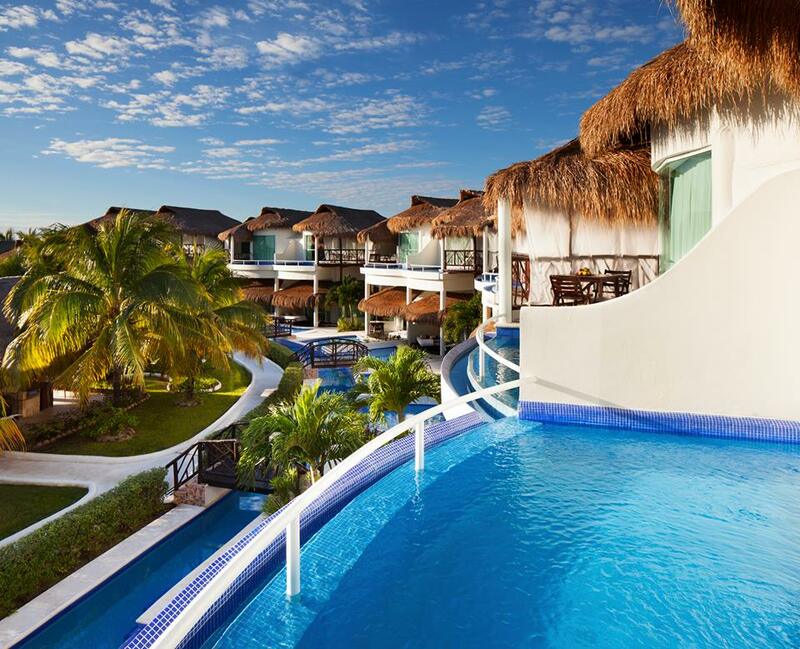 For more details and estimated prices: Top Resorts in Cancun & Riviera Maya. Call us today and ask to speak to one of our Mexico specialists at 402-281-3022.